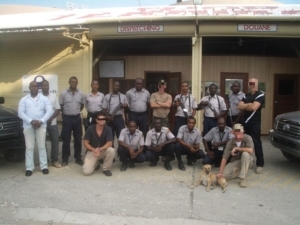 ETS has impressive and extensive experience of operating throughout Haiti providing Executive Protection, Secure Transport and NGO security support. ETS has an affiliate office within Port au Prince, Haiti, this office is staffed by an experienced US expatriate who resides full time in Haiti, and has extensive experience of living, operating and managing clients within country. An impressive high-level network of contacts and local service providers supplements the ETS security service in Haiti. Haiti is considered a high risk destination. Crime, particularly violent crime, is a critical problem in Haiti fuelled by ongoing political instability and lawlessness. There are daily reports of death threats, murders, drug-related shootouts, kidnappings, armed robberies, break-ins or carjackings committed by armed criminals. Armored vehicles and armed local support should be considered whenever moving within Haiti.